Simply stated, Velox is emerging as a leading provider of electronic hardware kitting solutions. 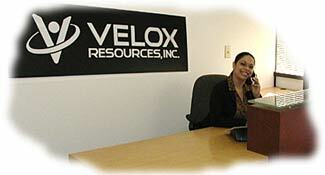 At Velox, we strive to foster innovation in the advancement of material outsourcing. We translate this innovation into tangible programs that offer significant cost savings to our partners. Our mission is to provide excellence in the deployment of customized material solutions. Velox can also drastically improve procurement conditions by maximizing purchasing power and leveraging global supply markets. Looking ahead, Velox is excited about the future and view this material solution segment as one with tremendous growth potential. The concept of isolating materials to better control cost is one that more companies are pursuing. The Velox business model focuses on the formation of strategic partnerships with leading OEM and CEM organizations. Our partners see us as a company built on solutions. Velox views solutions as the key to our growth.